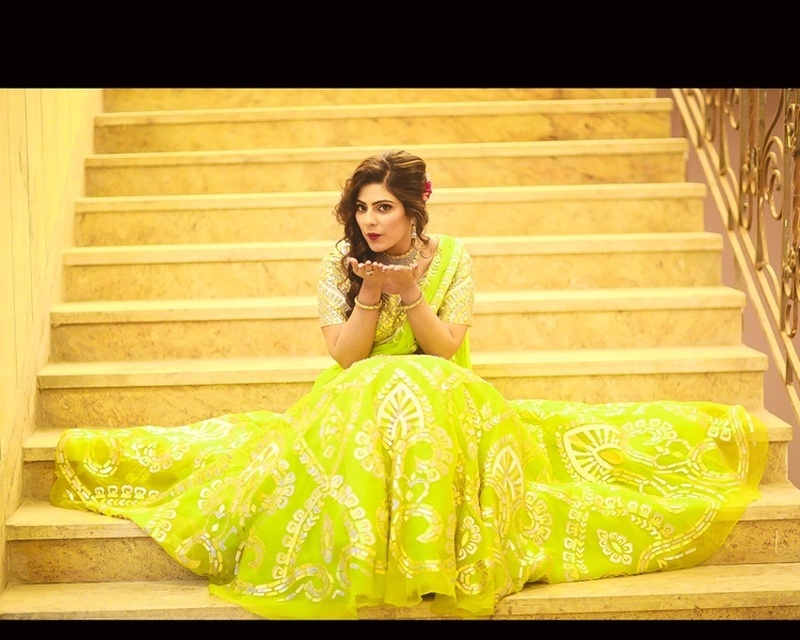 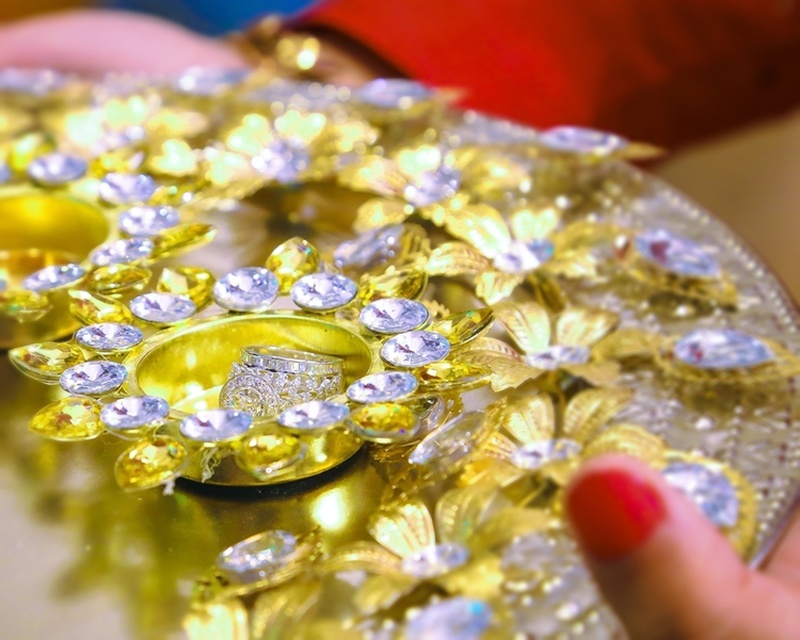 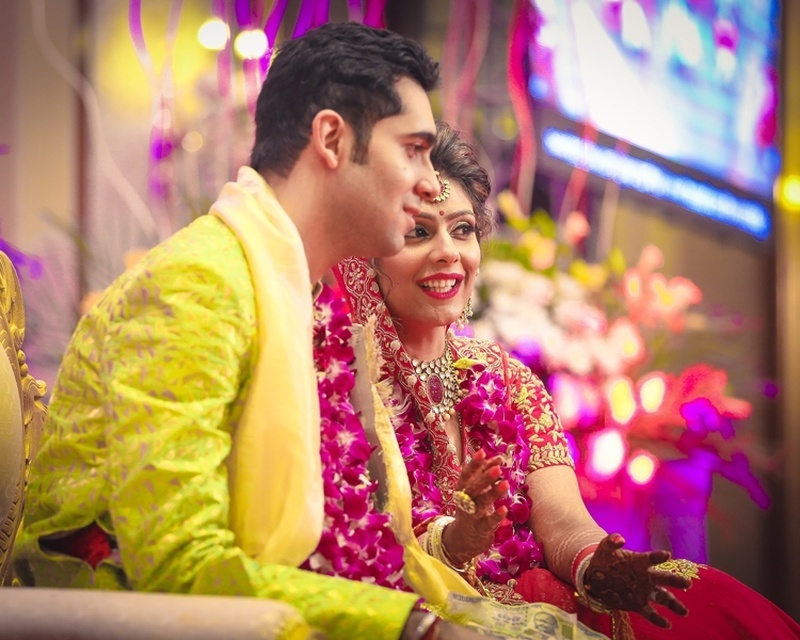 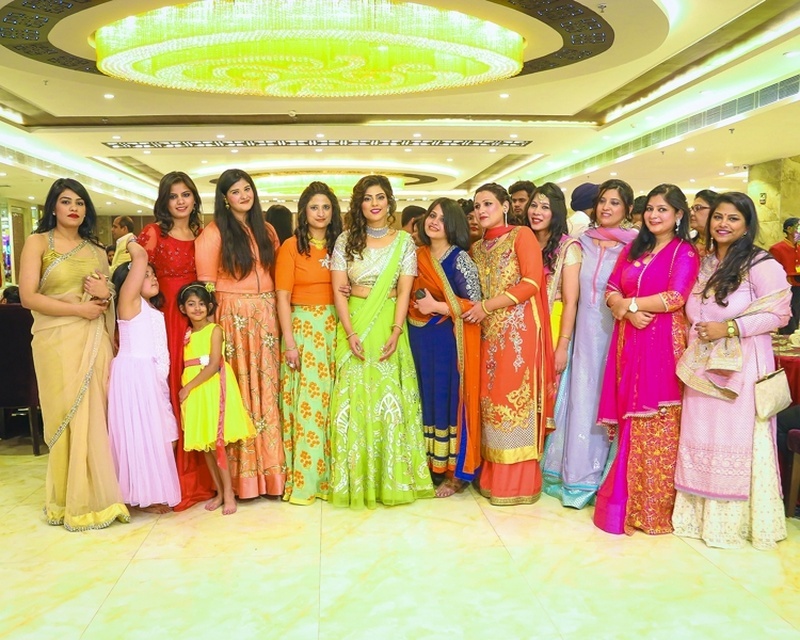 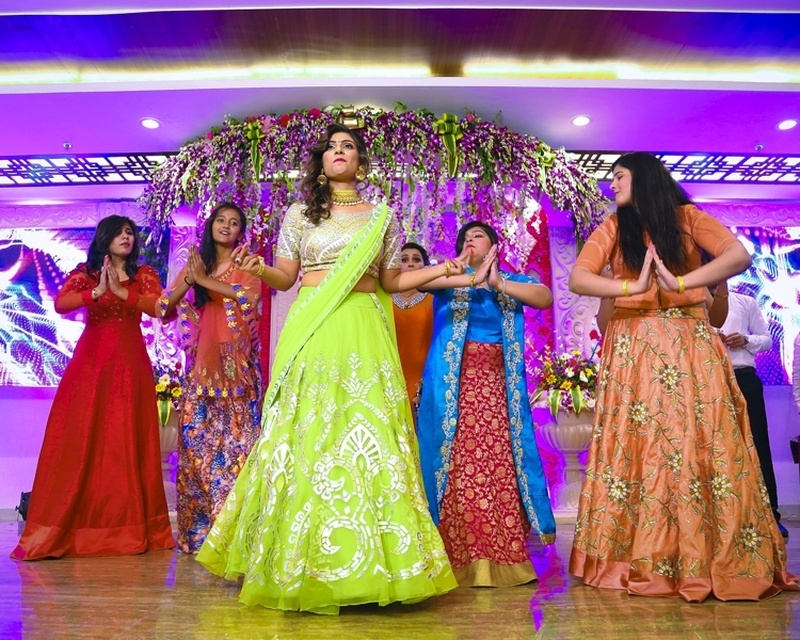 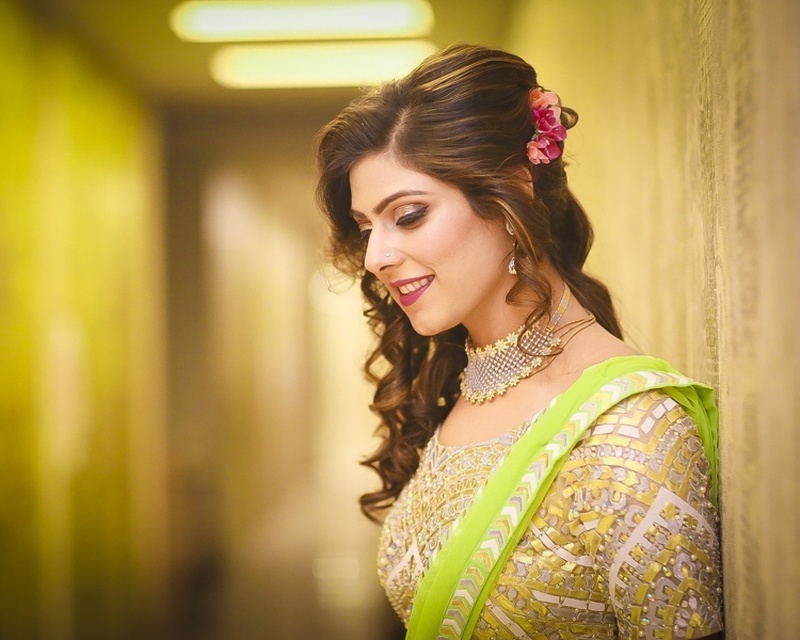 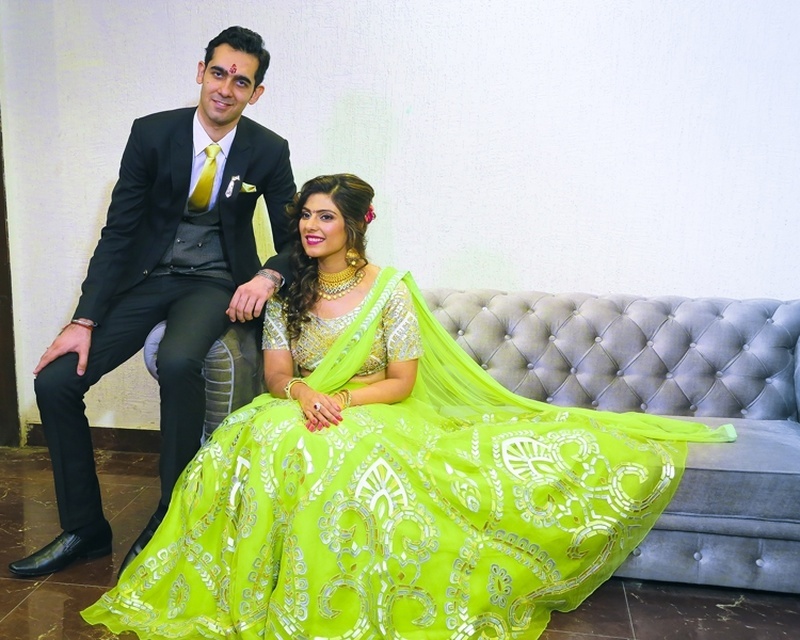 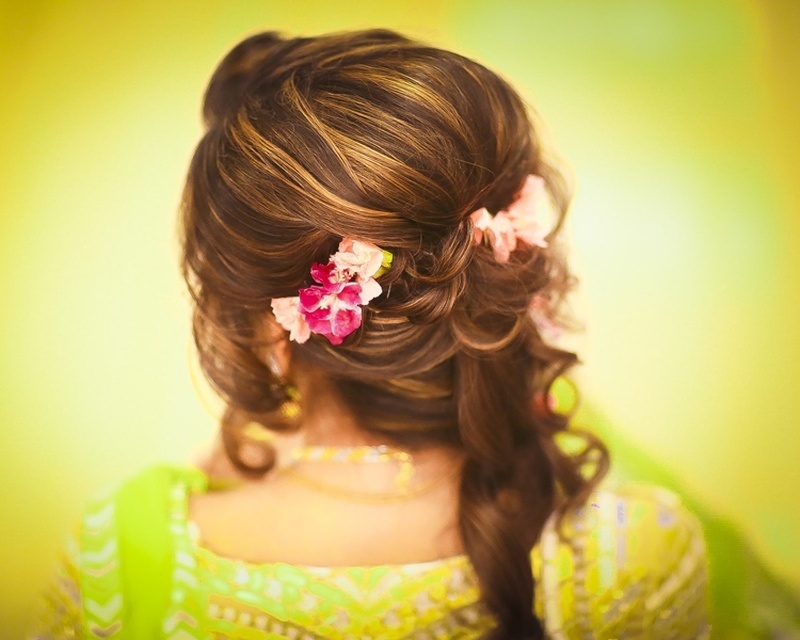 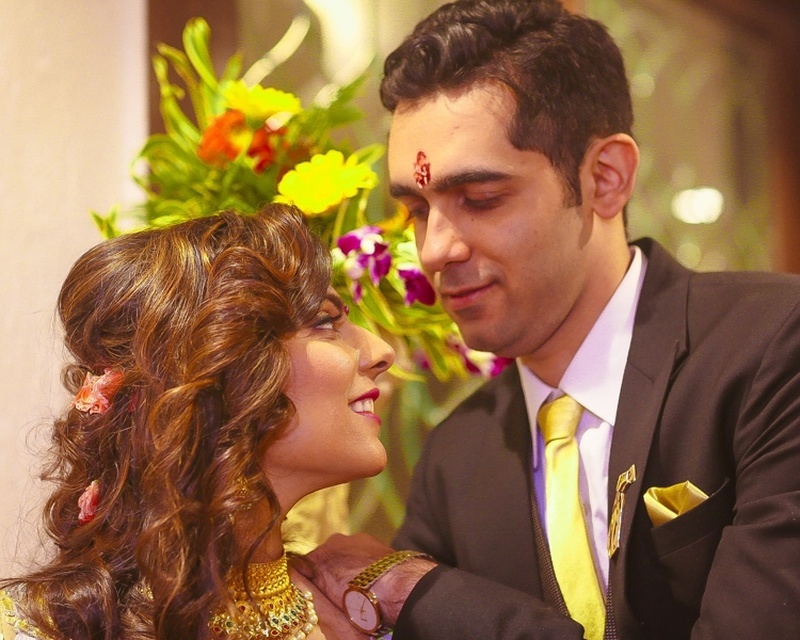 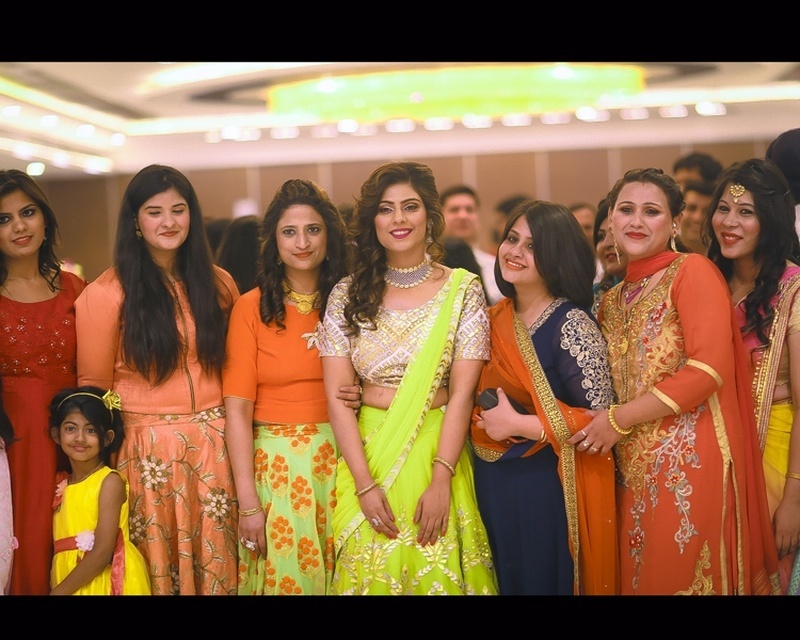 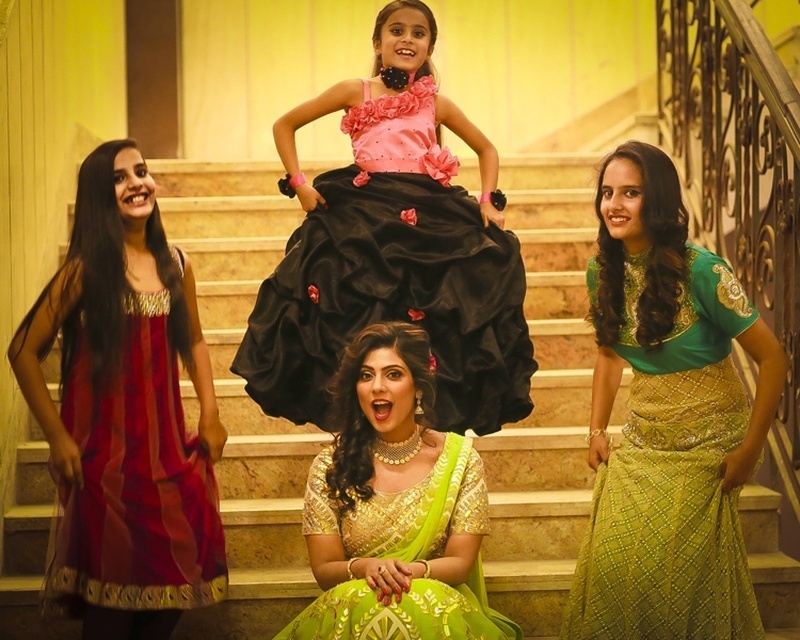 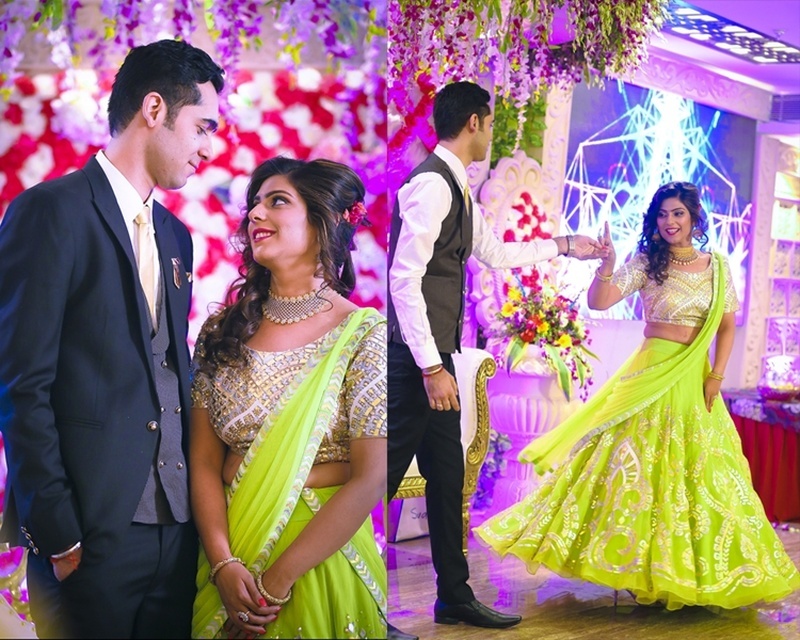 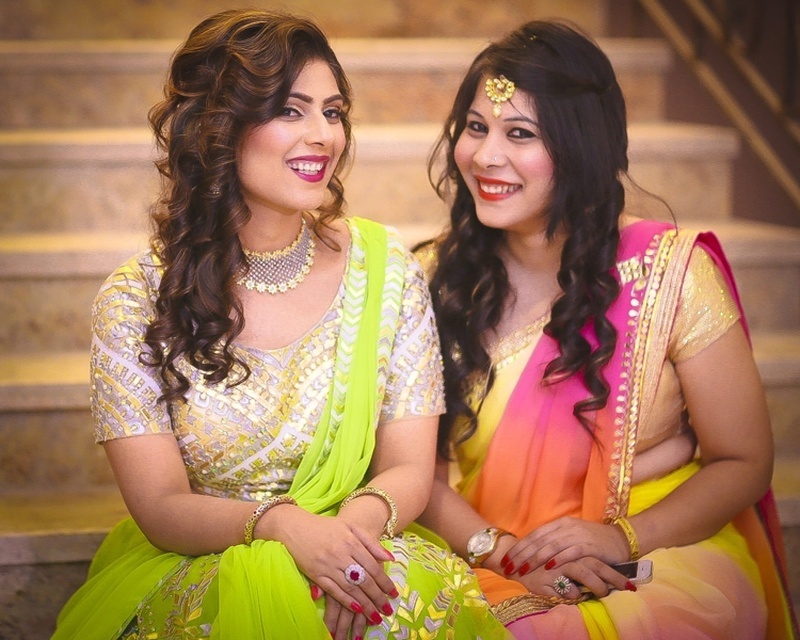 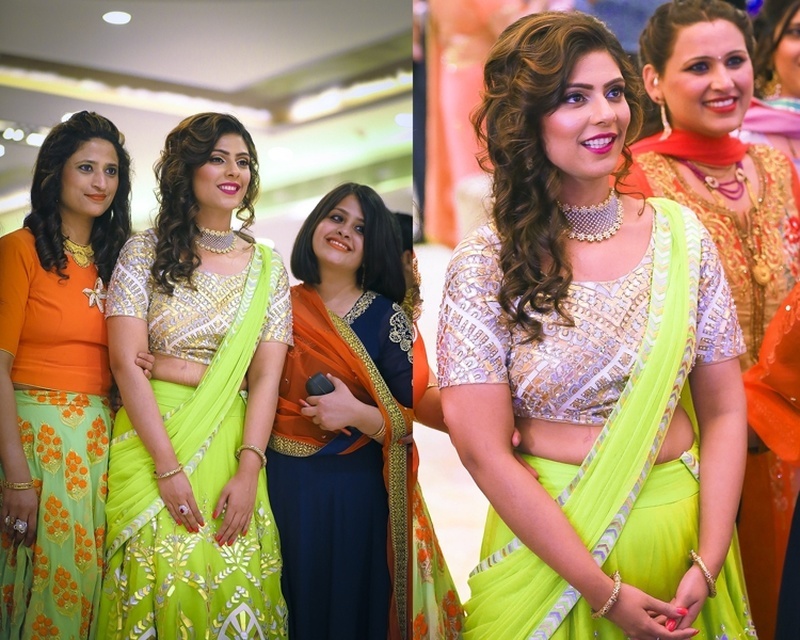 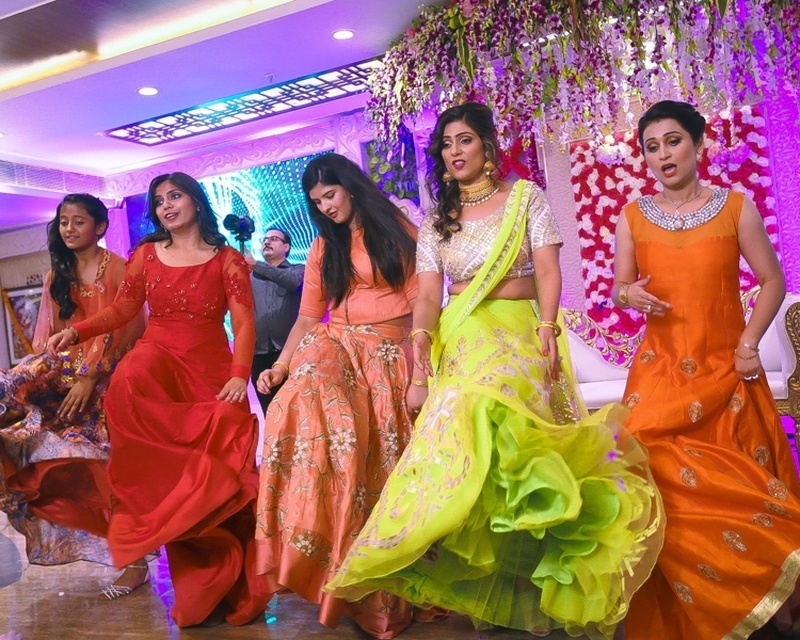 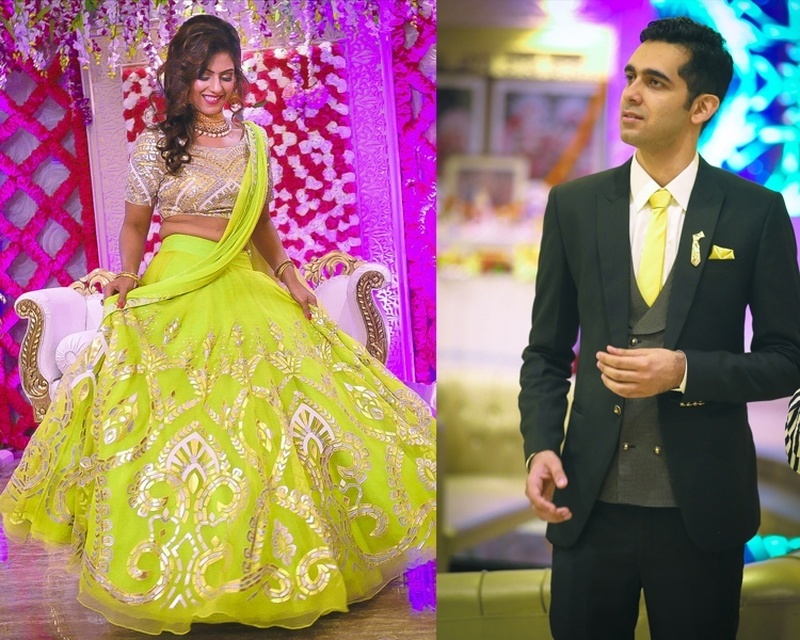 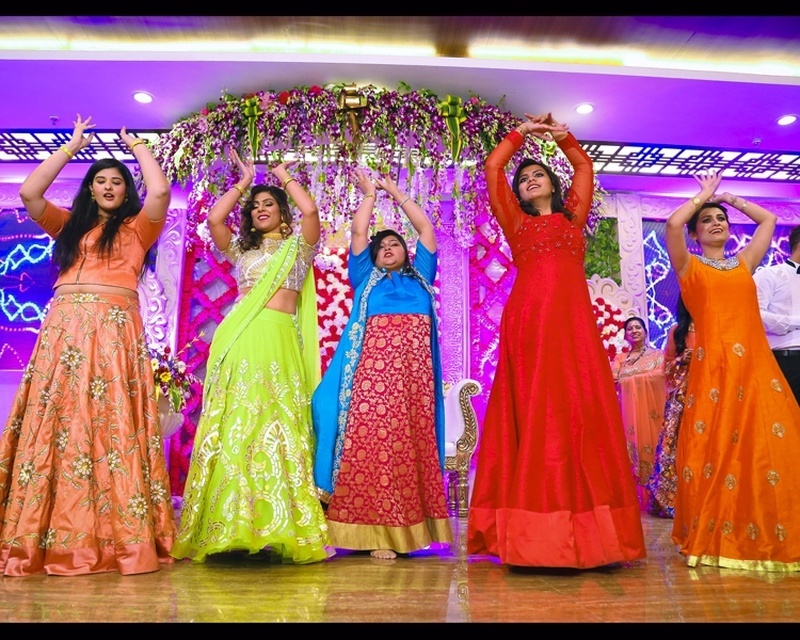 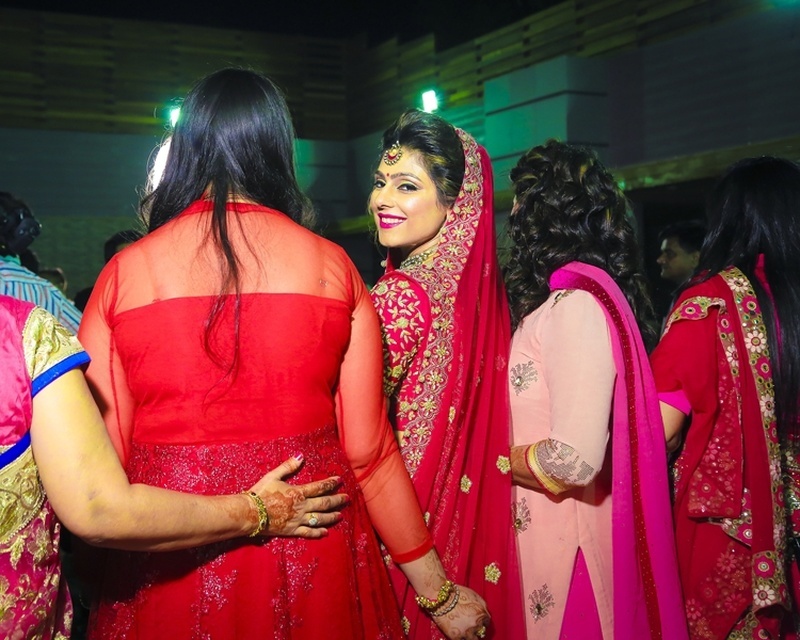 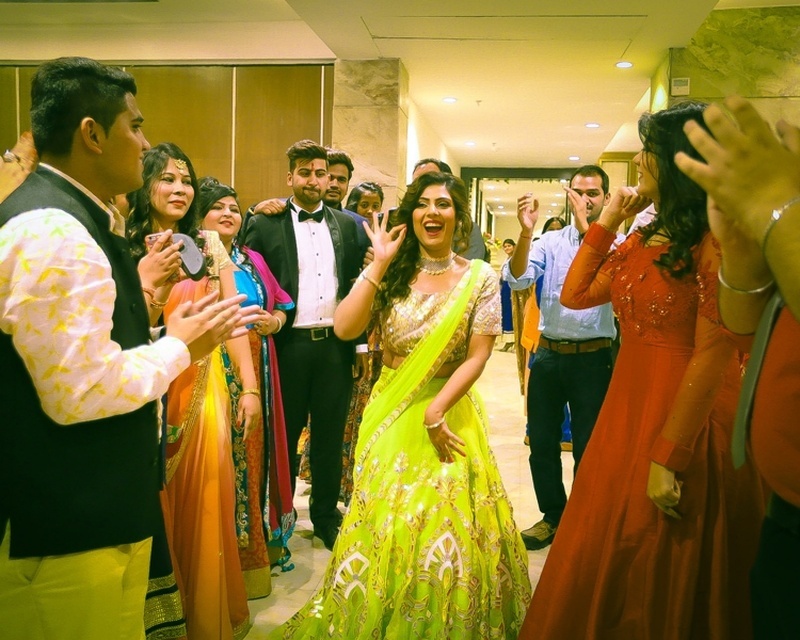 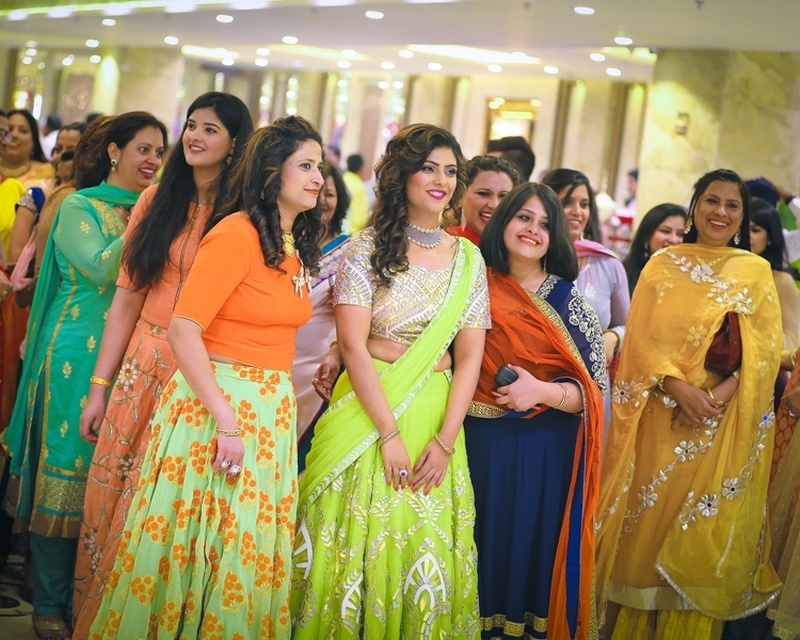 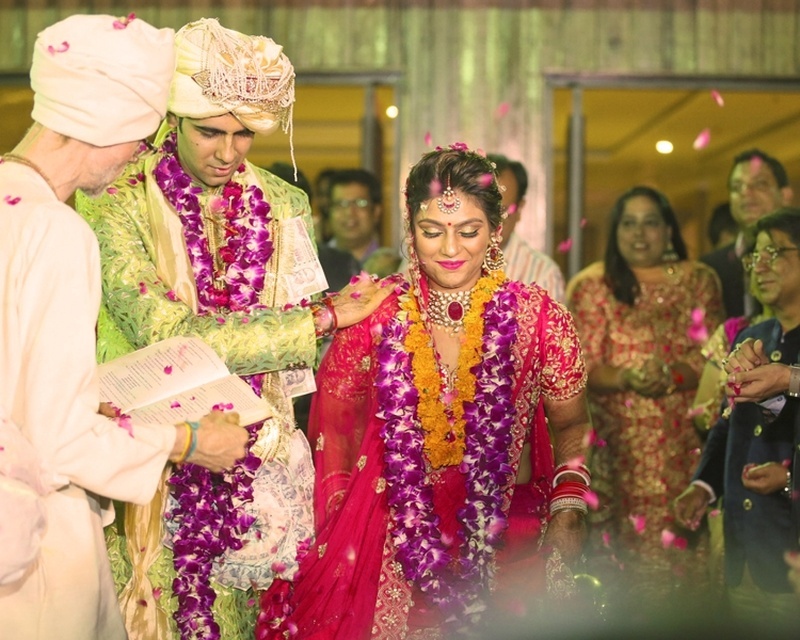 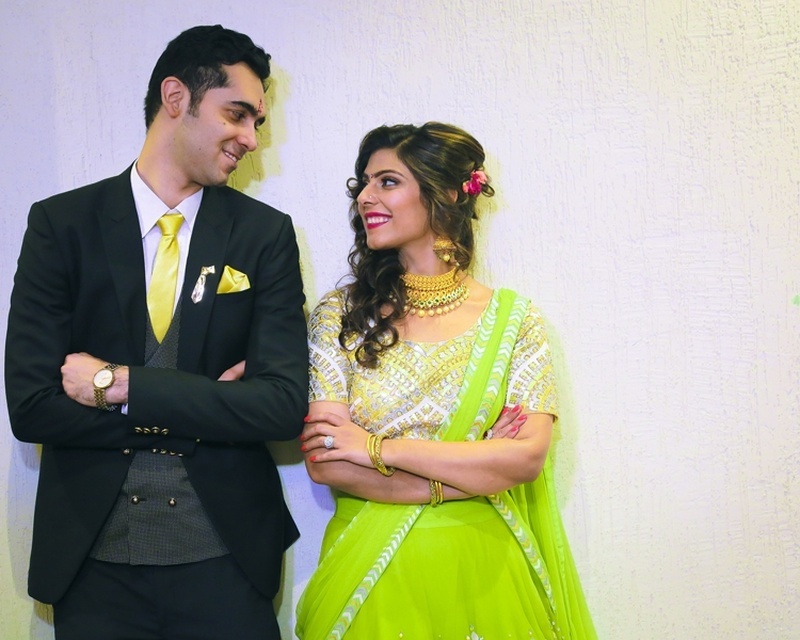 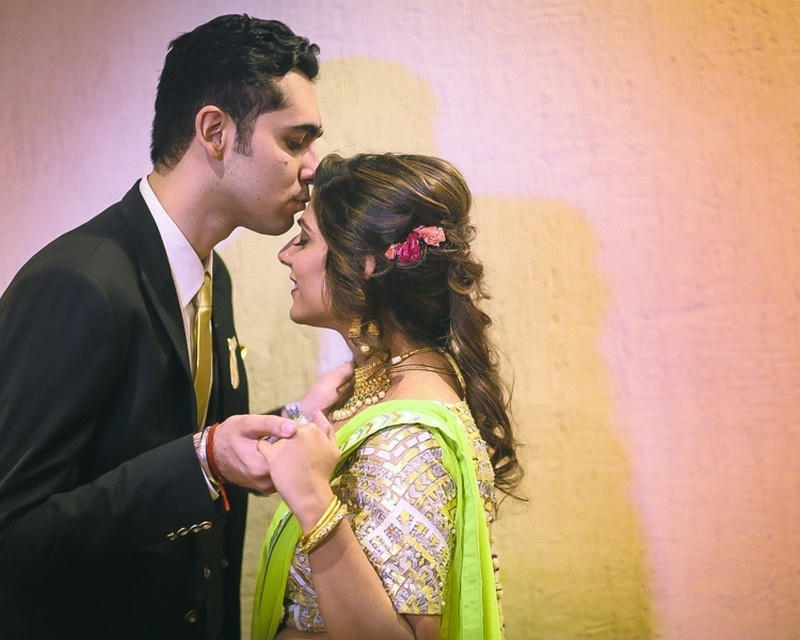 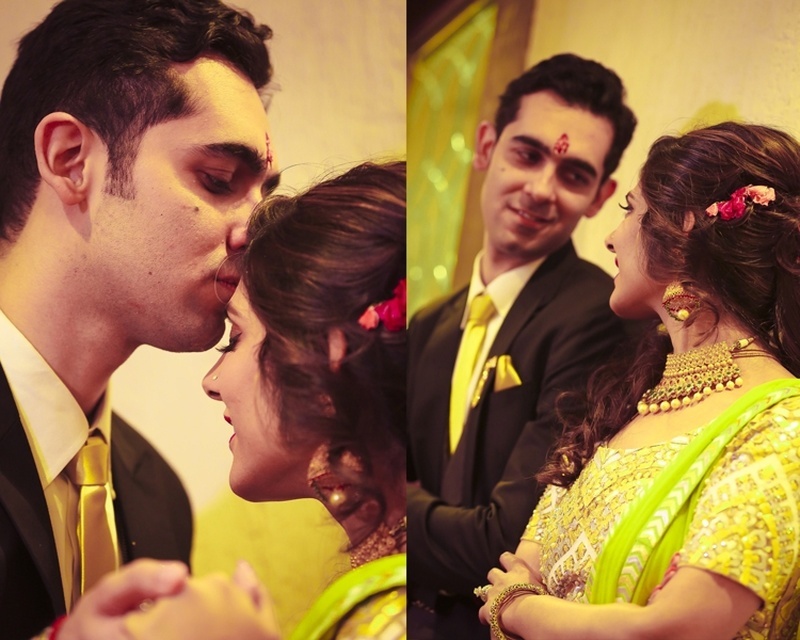 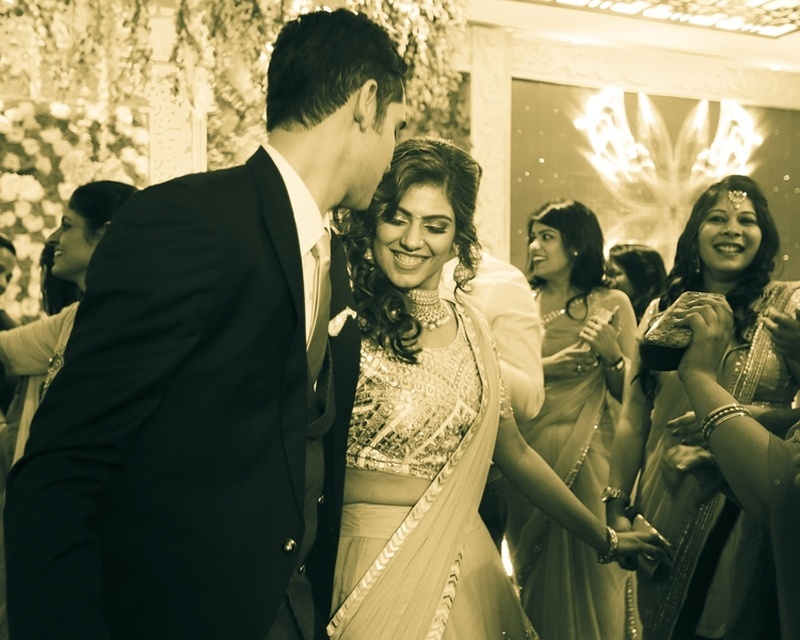 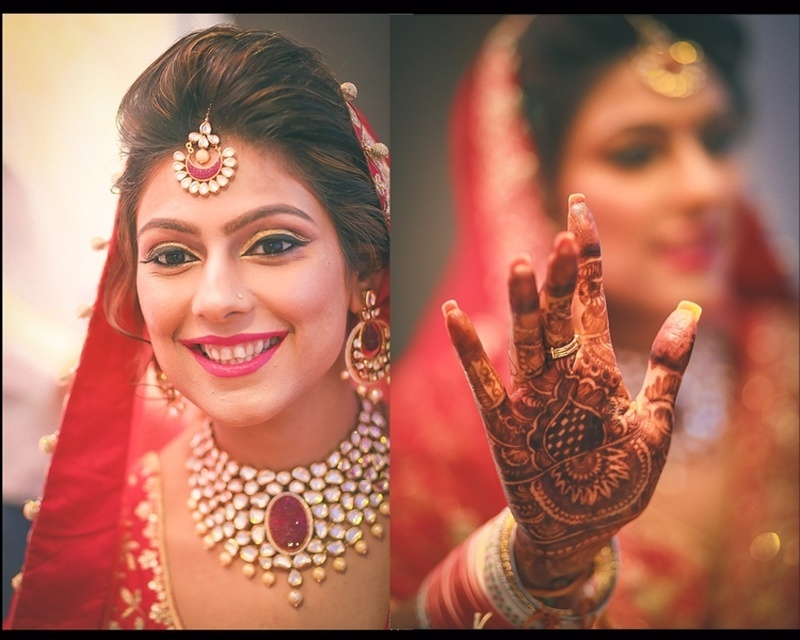 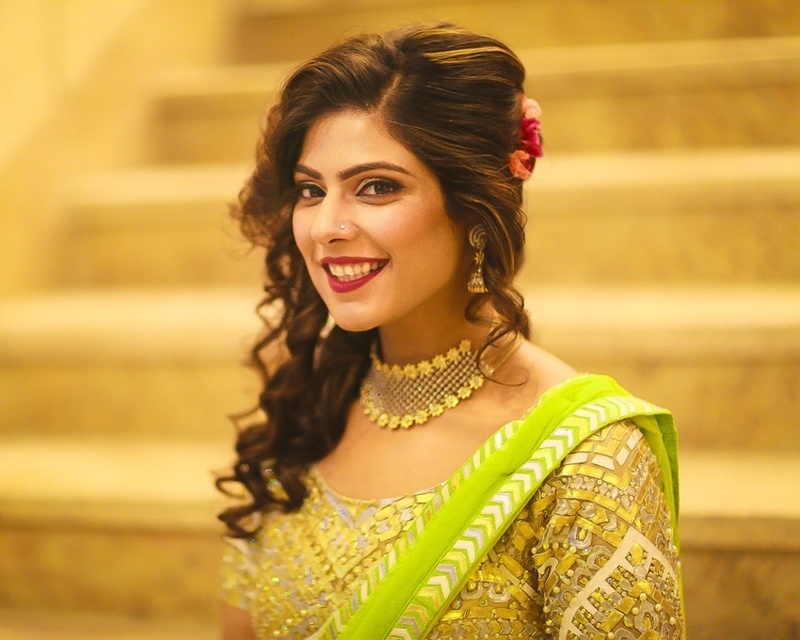 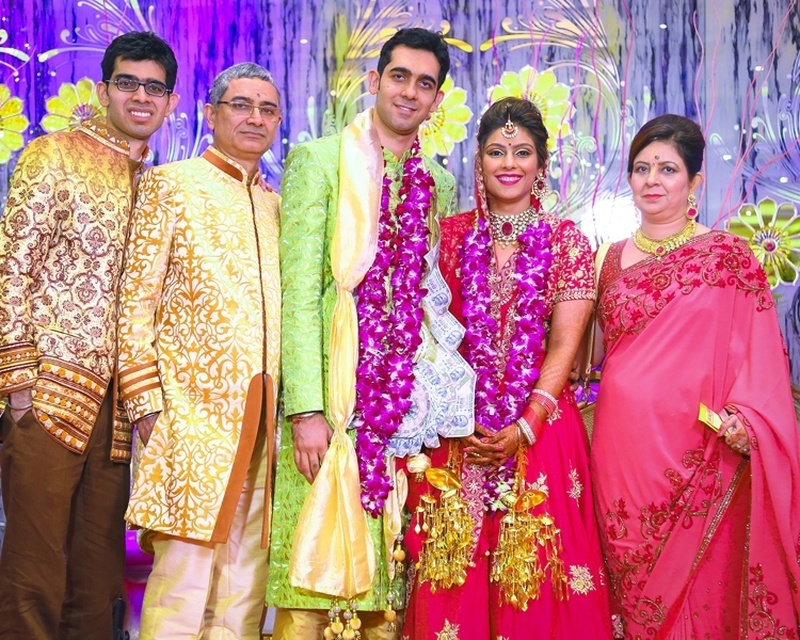 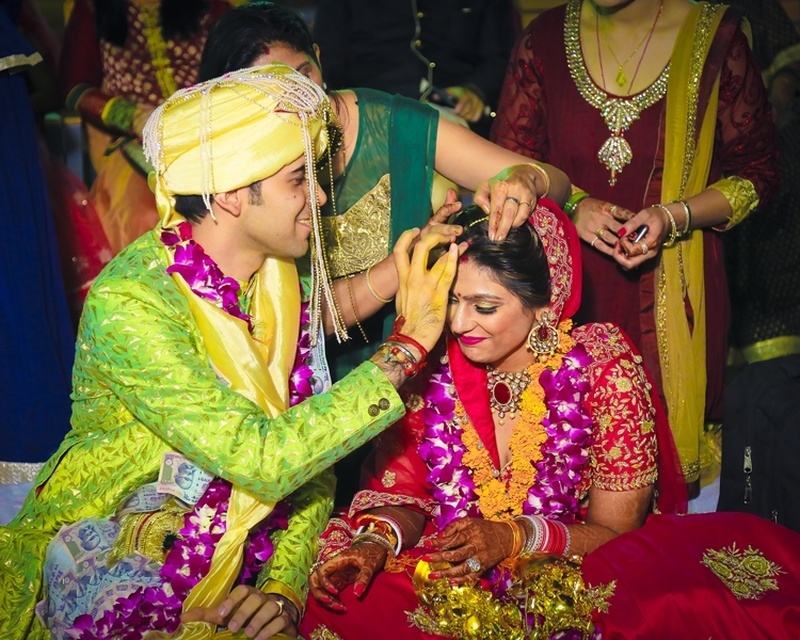 Ever seen a bride pulling off a neon lehenga this beautifully? 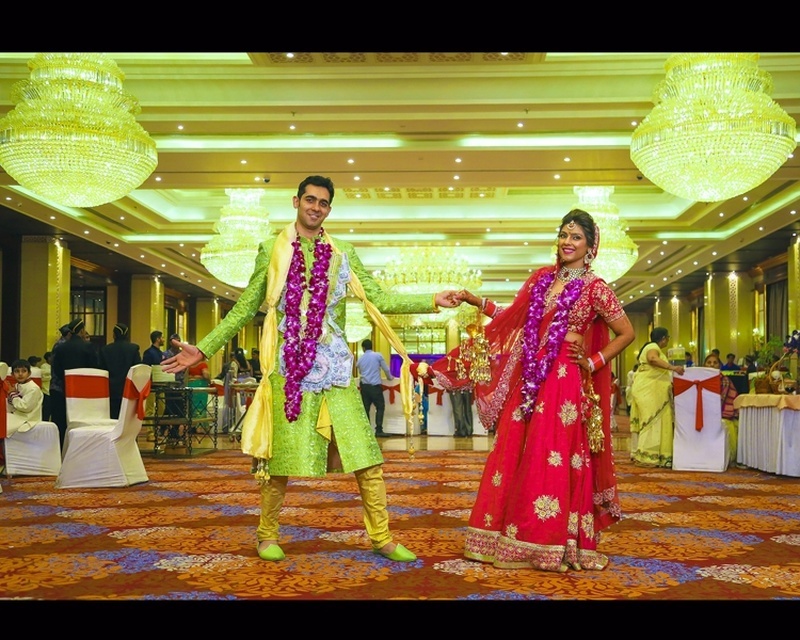 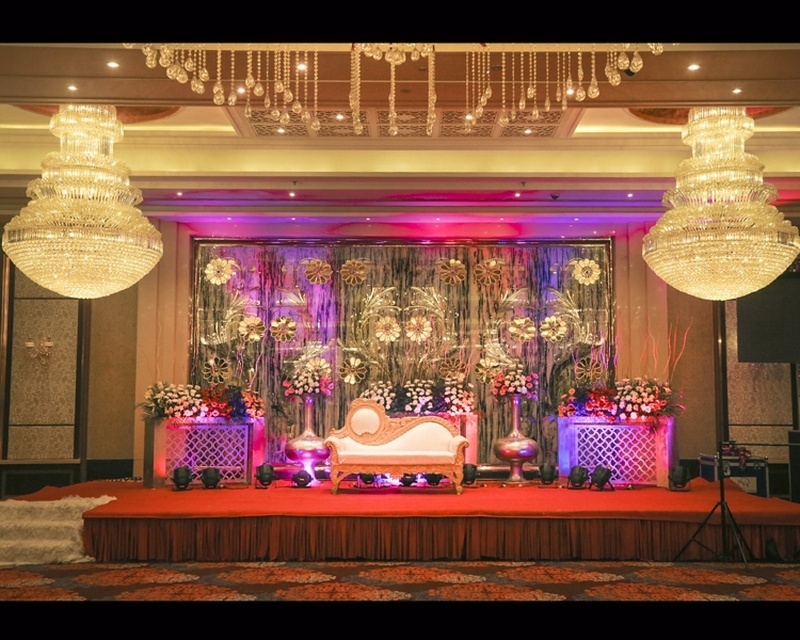 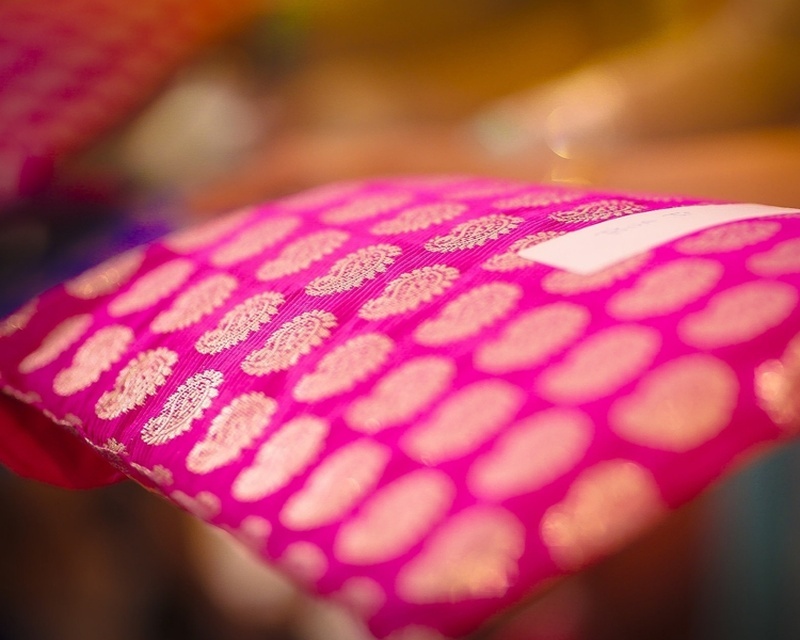 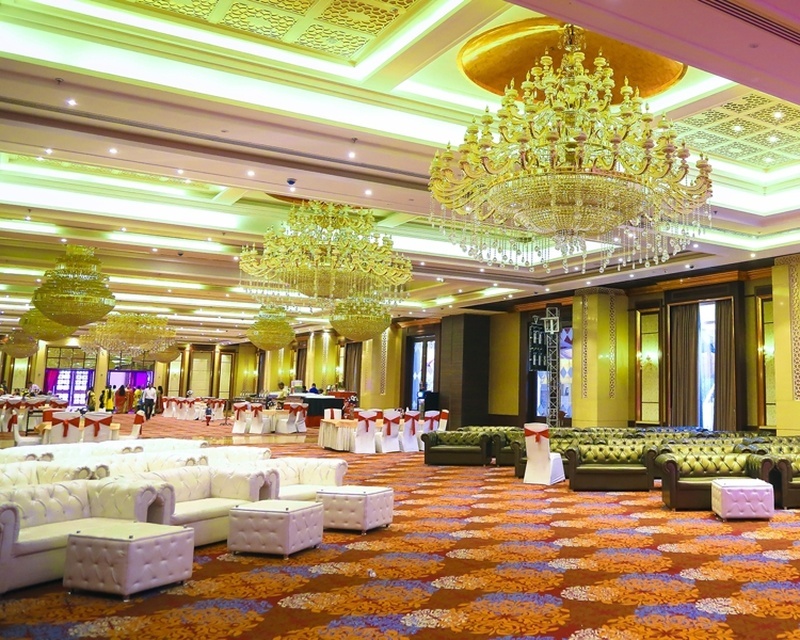 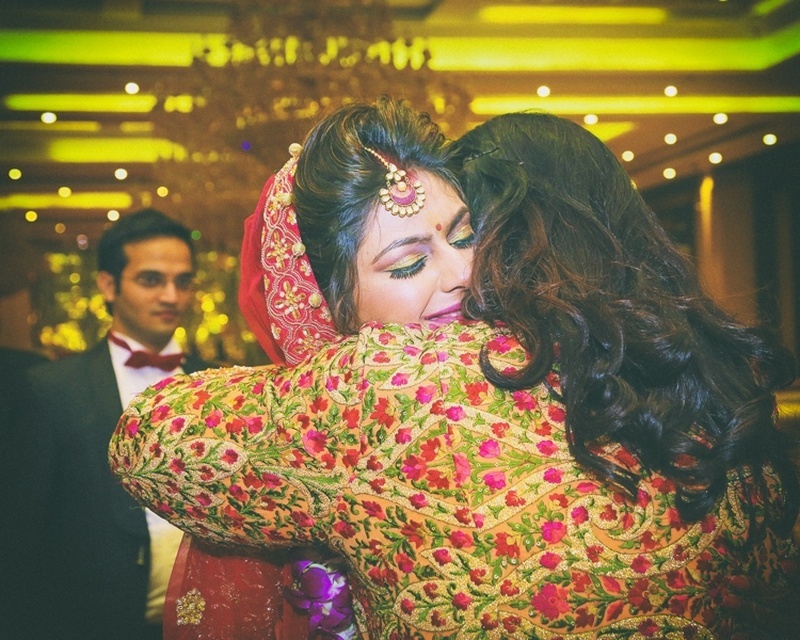 What stood out at this wedding at The Heritage Grand, Delhi was the elaborate and stunning bridal wear. 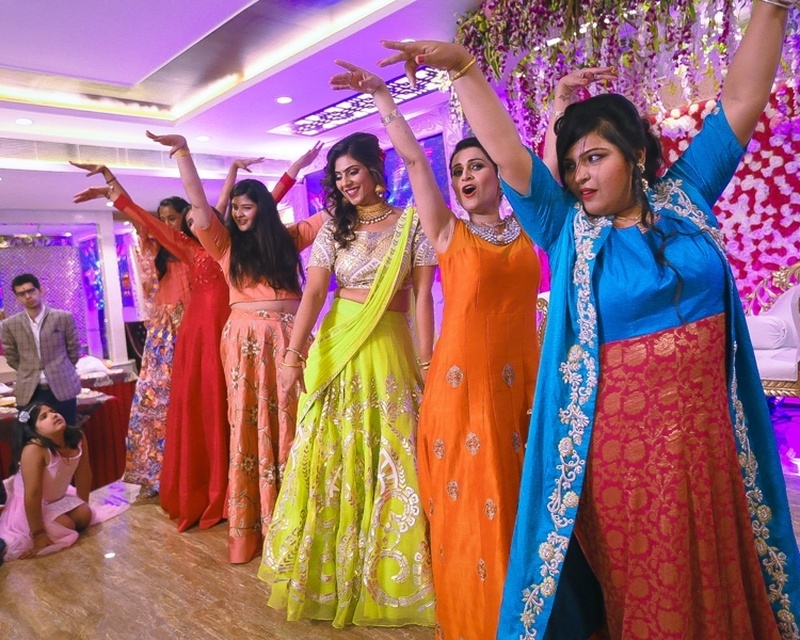 We love how this bride carried off this unusual colour with such grace! 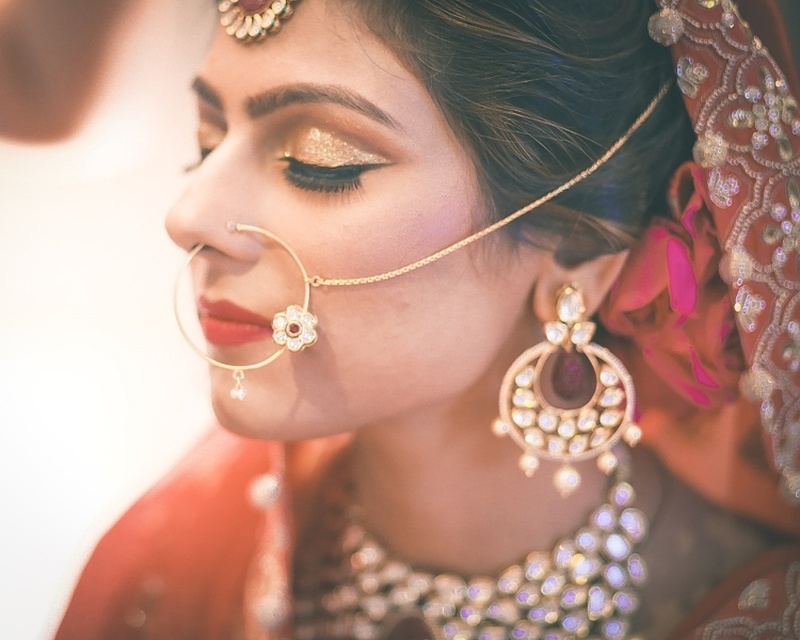 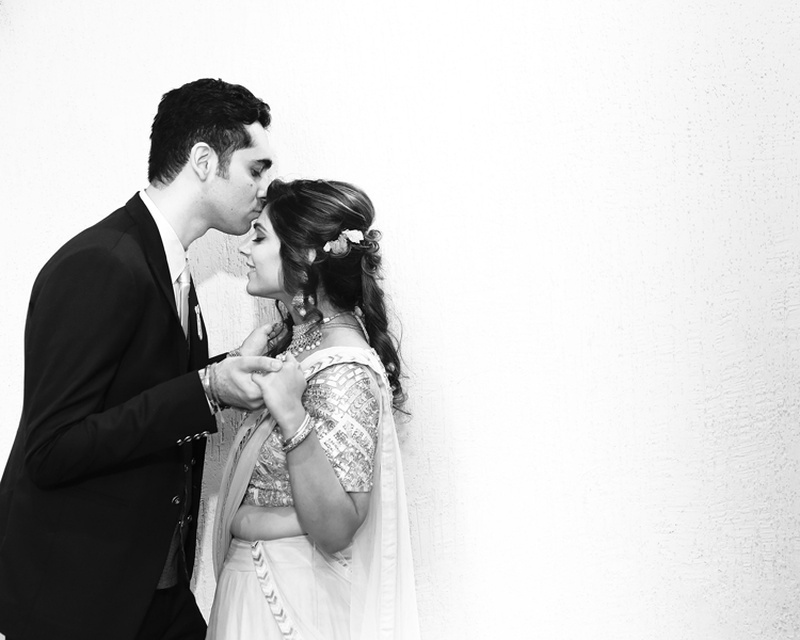 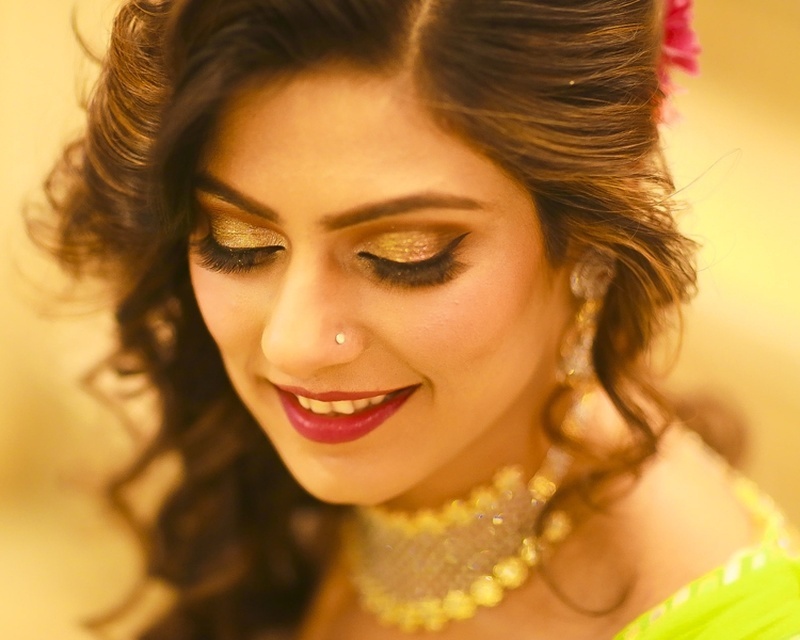 In fact her entire bridal look had us staring at our screens for quite some time. 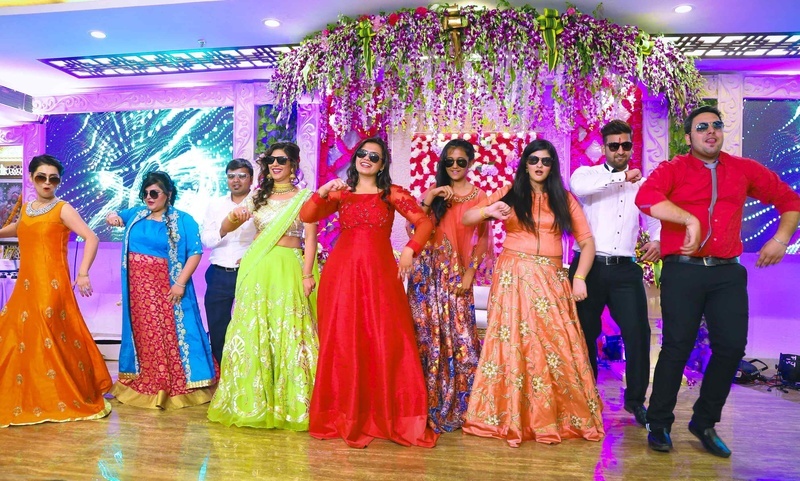 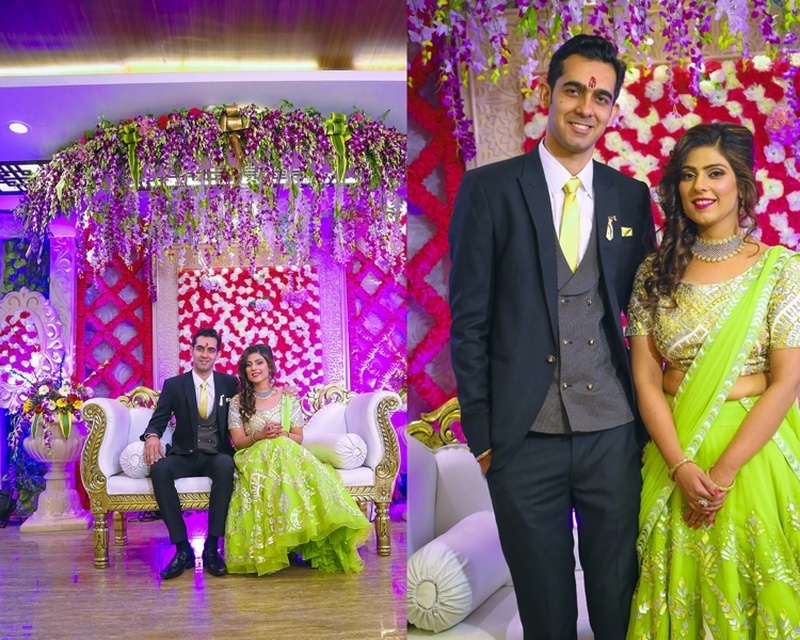 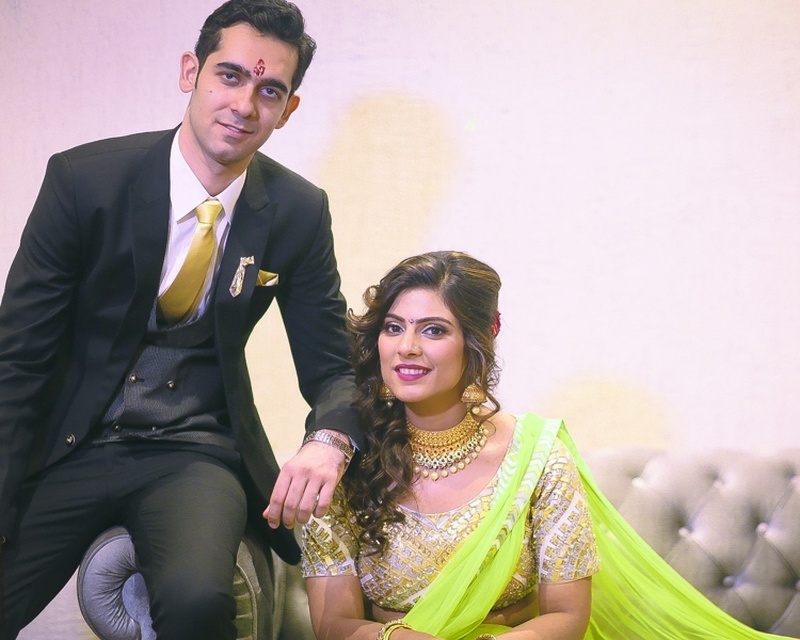 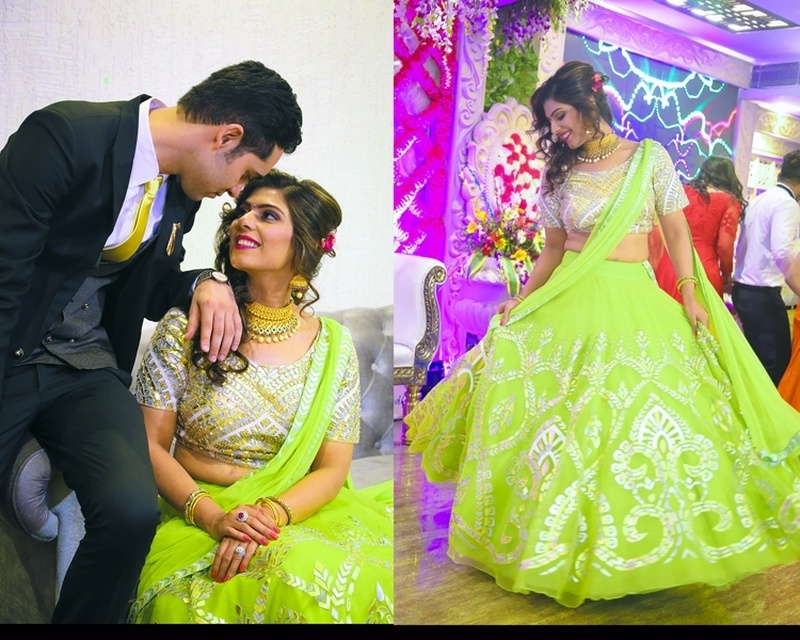 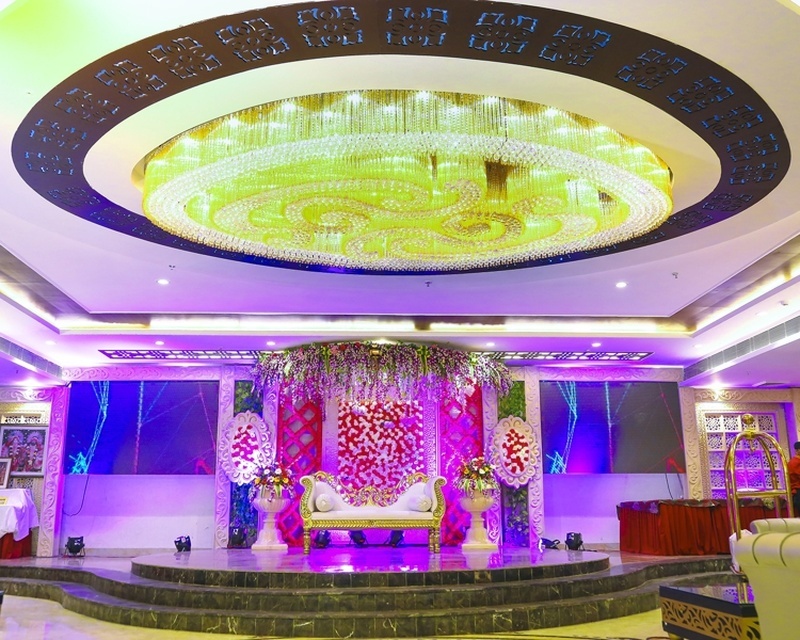 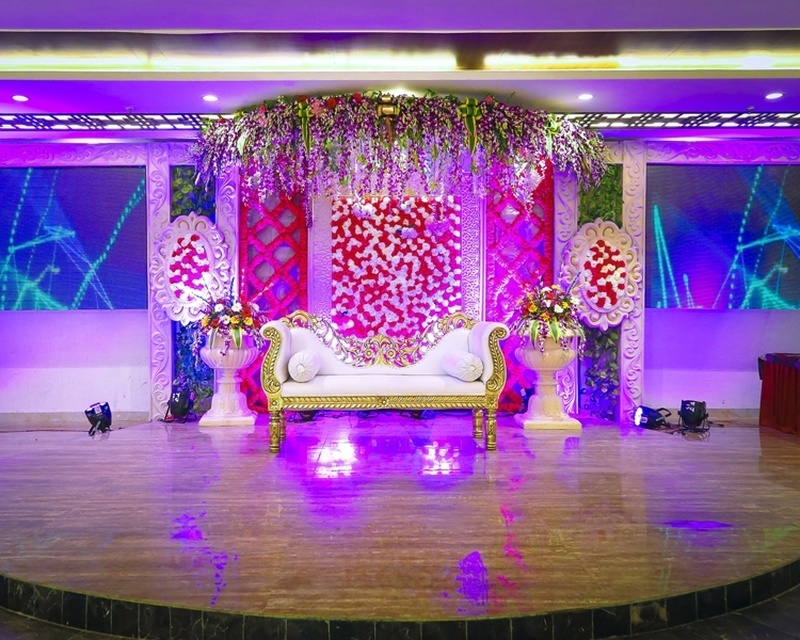 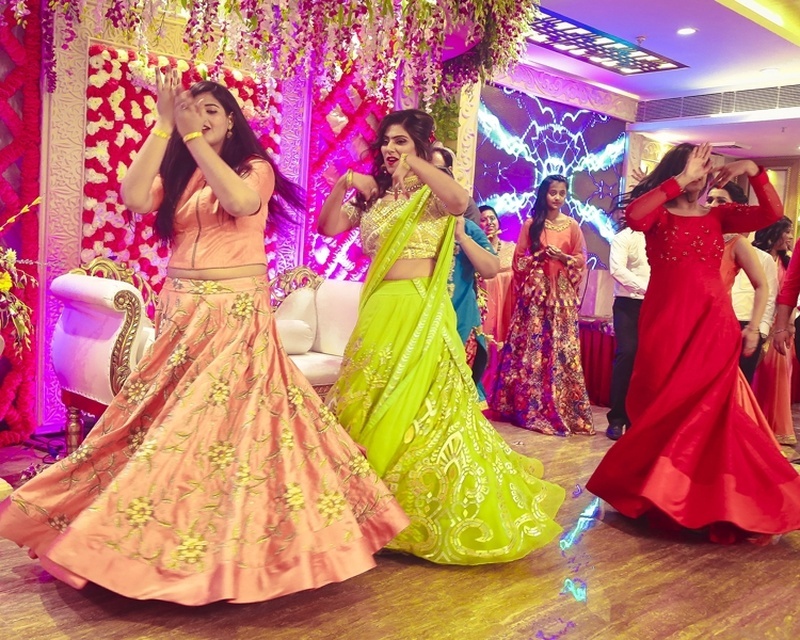 The sangeet lehenga was a bright fluorescent green, with gold and silver metallic applique work while she balanced out the skirt with a blouse of muted gold. 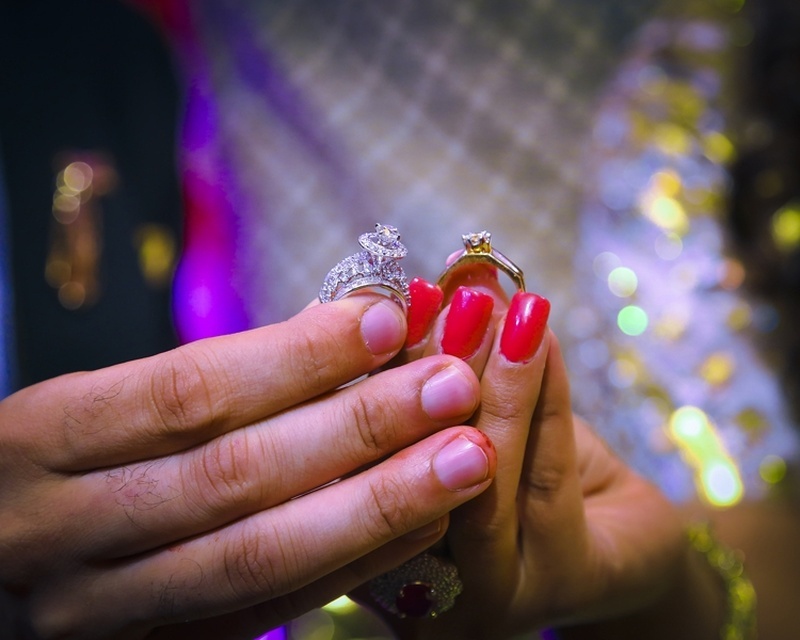 What stole the spotlight were all her larger-than-life wedding ring and the sparkling stones from Tanishq that adorned her neck. 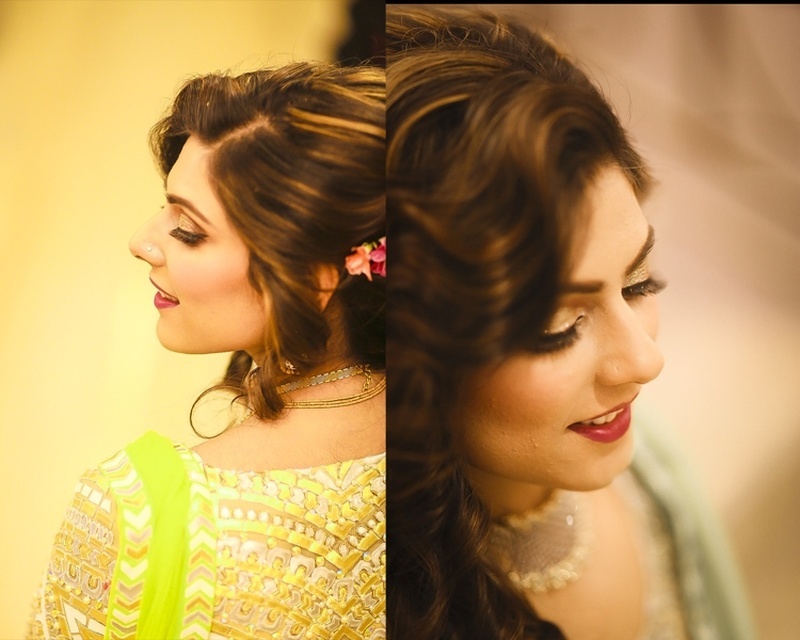 She managed to pair all of this with a gorgeous half-do with floral accessories that matched her lipstick to perfection. 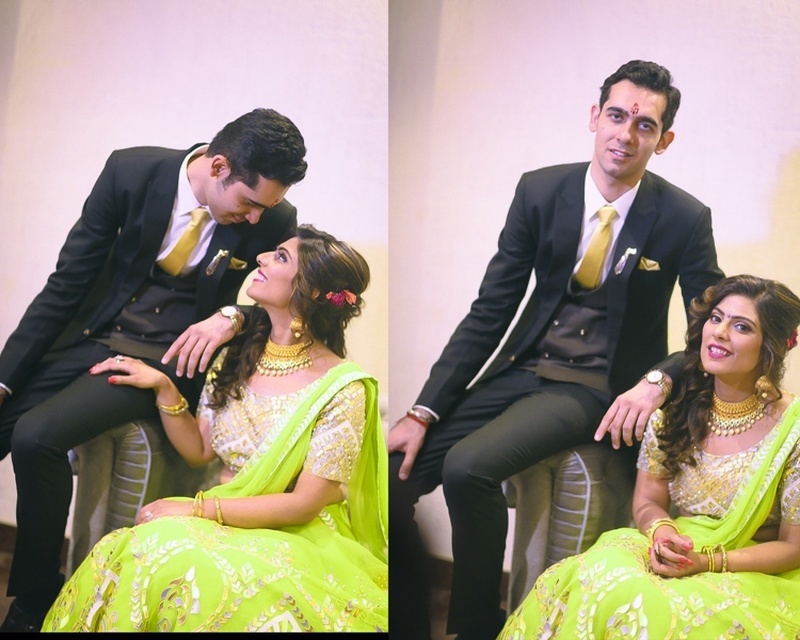 The groom on the other decided to keep it classy and simple with a black 3 piece suit, matching his tie to Samidha’s neon lehenga. 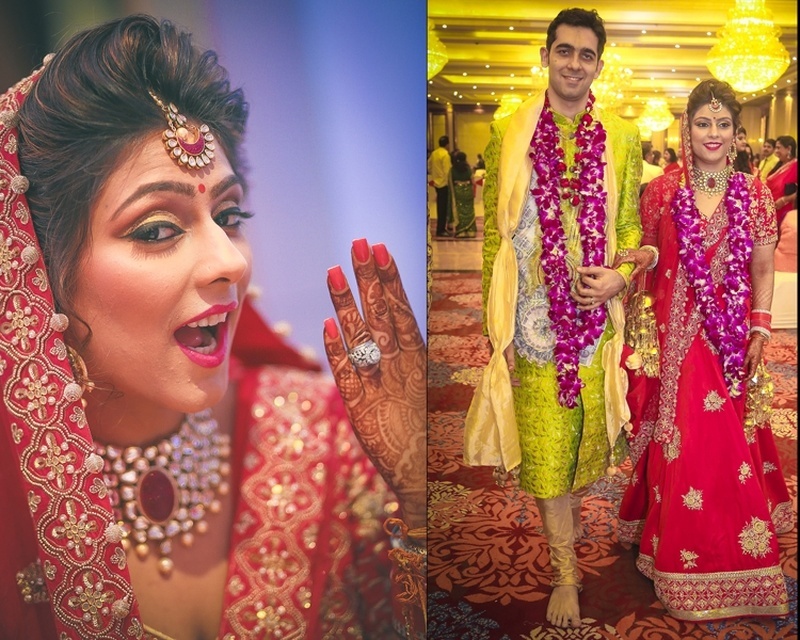 The wedding lehenga was no less stunning, in a lovely red embellished with gold embroidery. 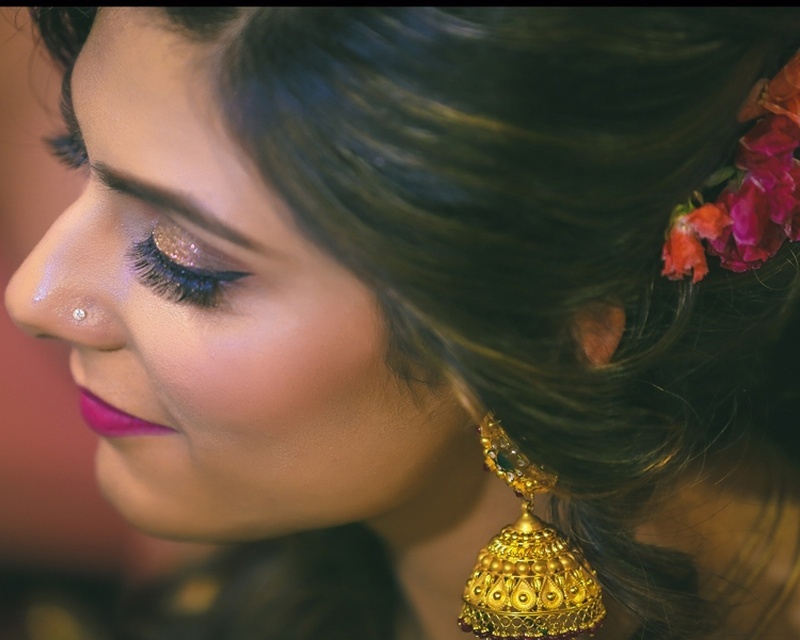 Again, Samidha’s resplendent polki jewellery, also by Tanishq, was what grabbed all the attention. 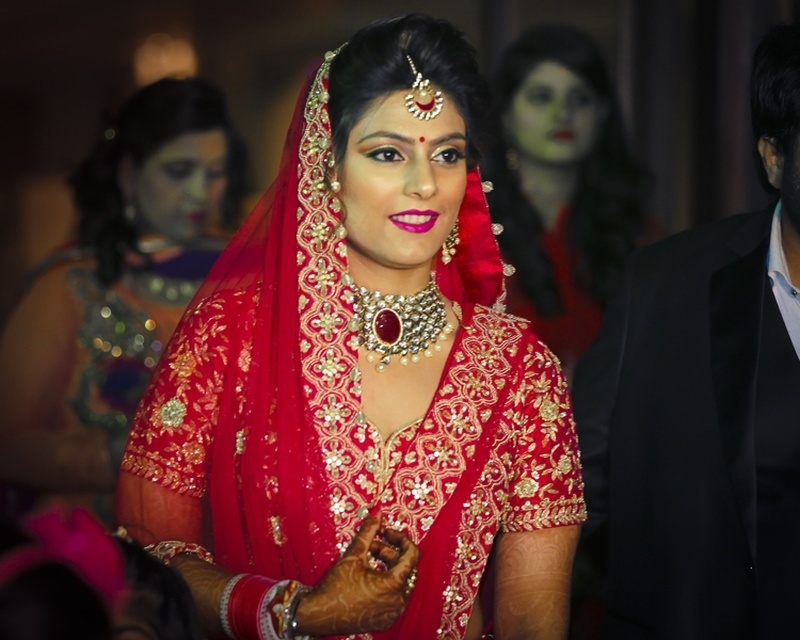 We loved how the red gemstone surrounded by diamonds matched subtly matched her lehenga. 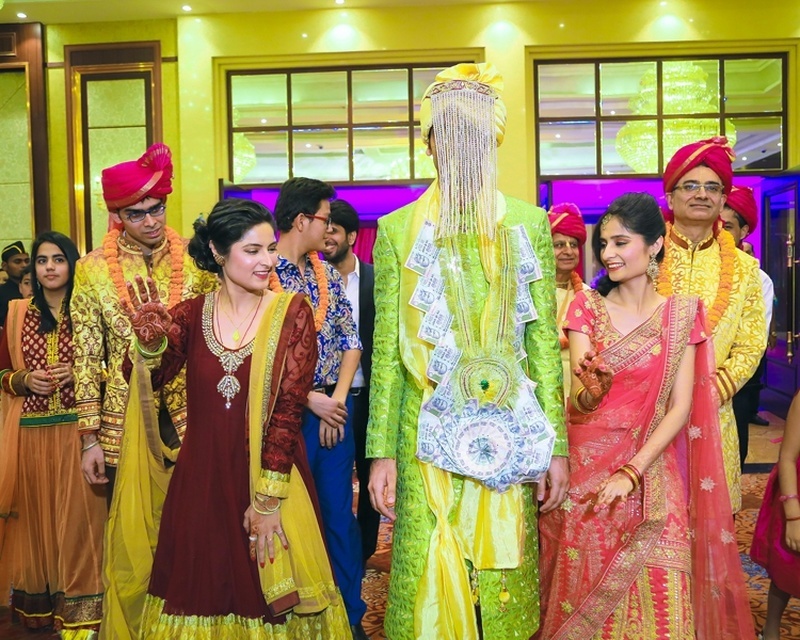 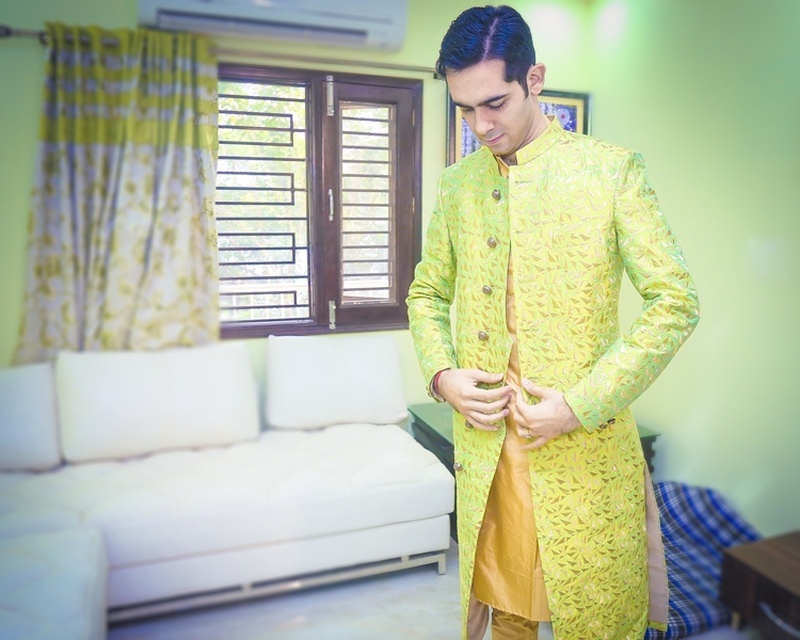 This time though, the groom carried off neon like a boss, in his bright green and yellow sherwani. 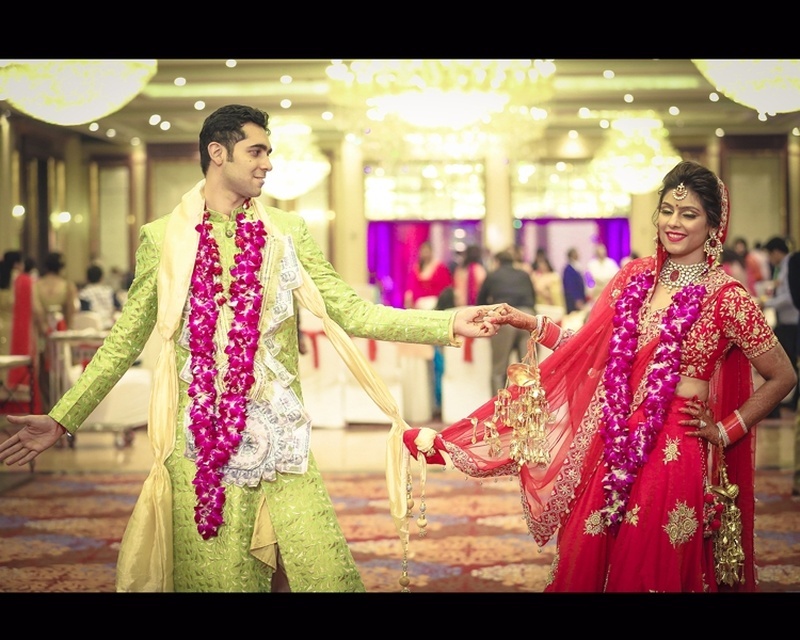 All in all, this couple really knew how to rock wedding fashion! 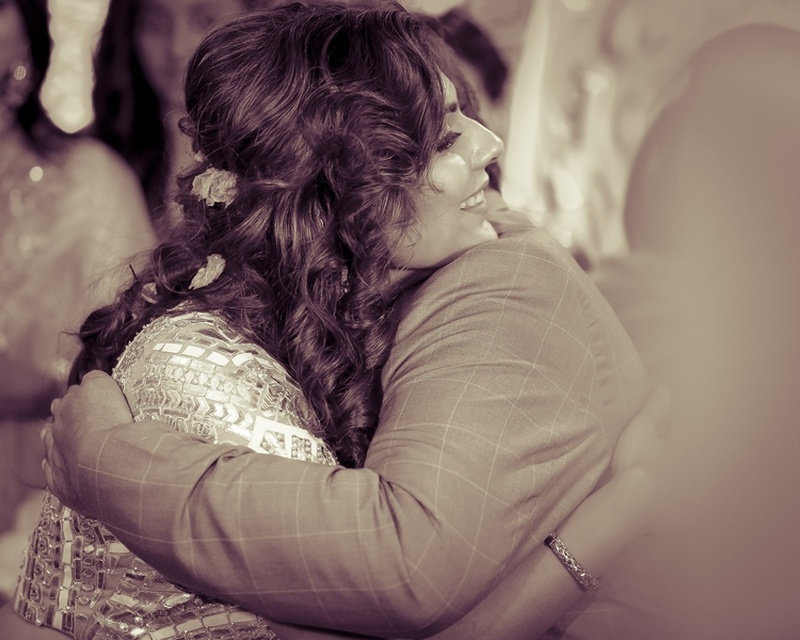 One advice I would give brides is that first and foremost never forget it’s YOUR day! 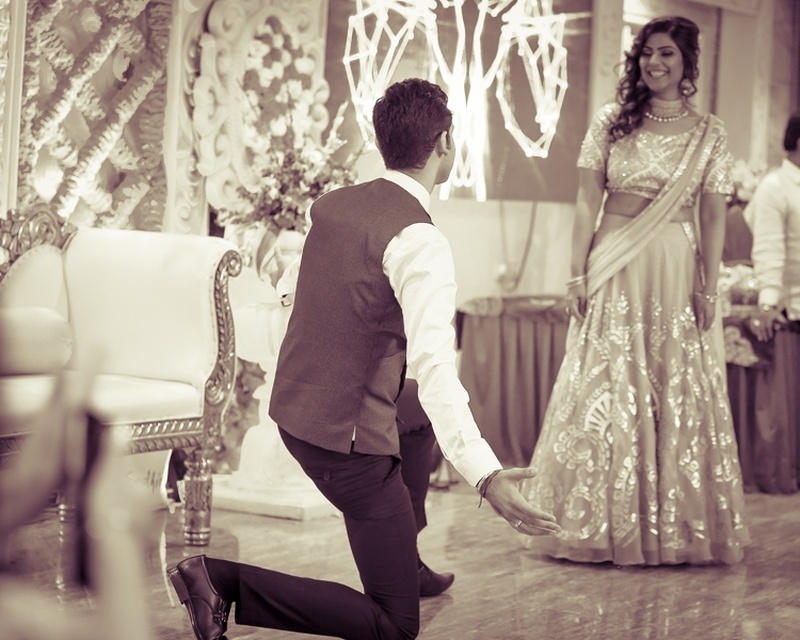 You are the Queen. 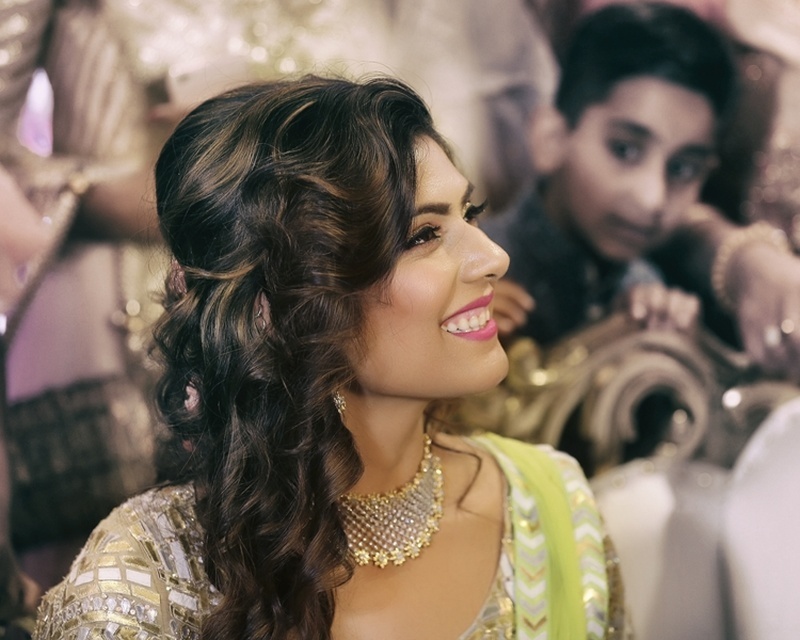 No one in this entire world can take away that attention from you! 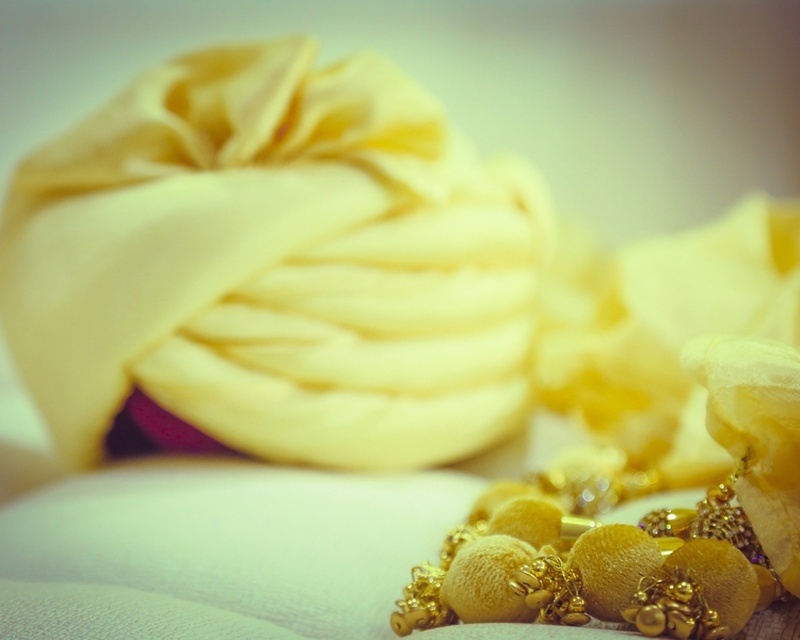 And yes, everything will fall into place. 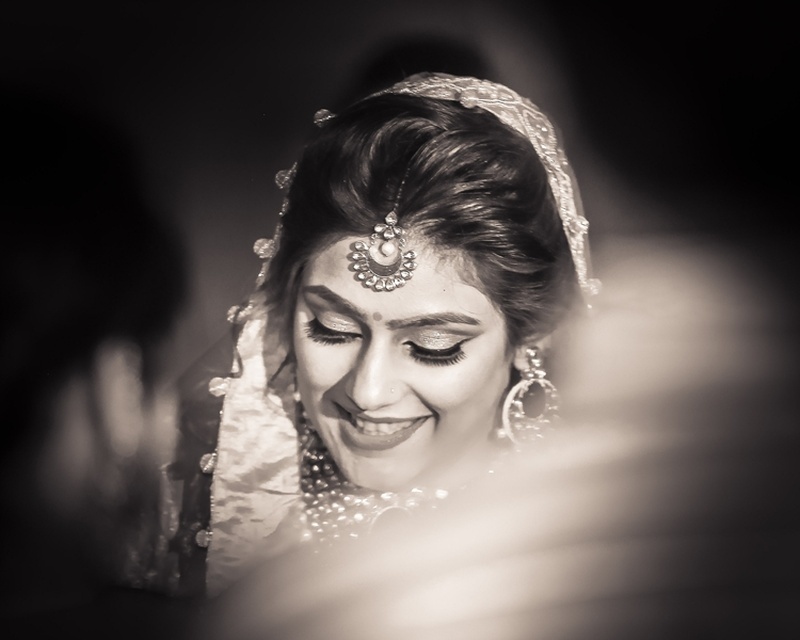 Your worries will not make it any different. 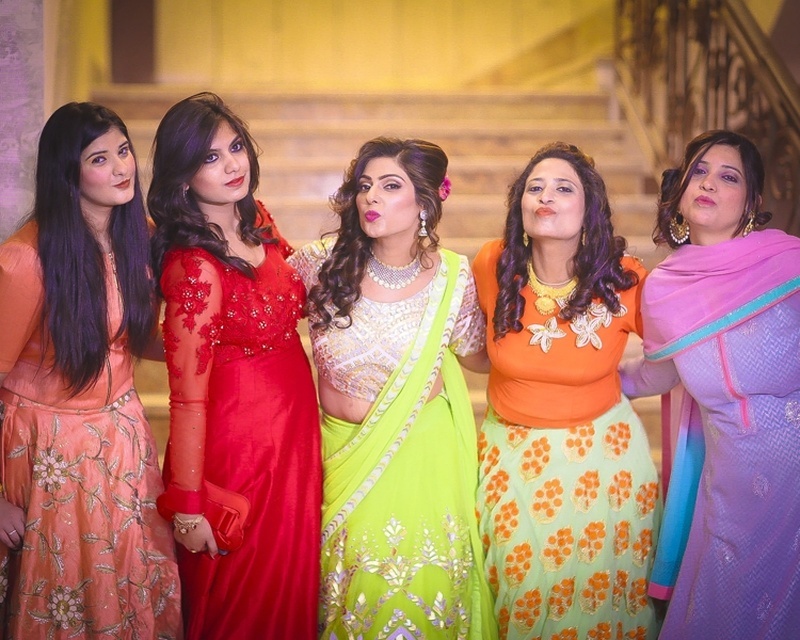 Sisters of the bride striking a pose!